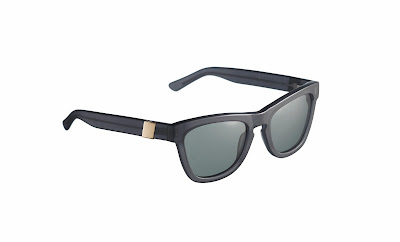 Fall Must Have: Sunglasses With A Touch Of Gold! When people think of Fall/Winter they think of staying warm, bundling up and warm beverages. Most people do not think of the sun which is still there even though it is cold out. There are still bright sunny days in the fall and when it snows the sun bounces off all of the white which can be bad for your eyes. Because of all of these factors, sunglasses are still needed. Westward \\ Leaning has the perfect pair of sunglasses for the fall that have 24K yellow gold on the arms of the shades making them super chic. Proceeds from the gilded sunnies even go to charity. Find out what makes them unique below! 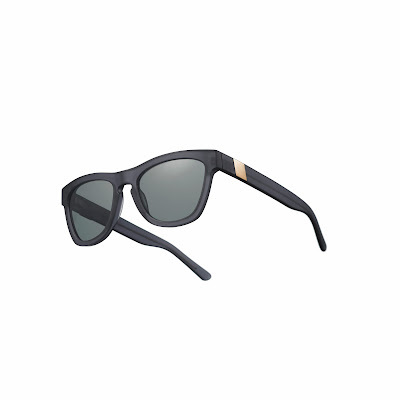 The Model N°12 Zero Black Gold Sunglasses were designed to be free of oil-based products and were a collaboration with photographer Richard Misrach. The goal was to challenge the traditional view of "green" consumer products, where less is more, excess is avoided and luxury is rare. The result was the companies first eco-glasses that are the most exorbitant, fabulous and expensive pair for the brand. On top of that, 24K yellow gold was put in place of black gold (petroleum). All proceeds from the sale of this model will go to charities focused of restoring the areas and communities of the American Southeast destroyed by petrochemical pollution. There is nothing better then wearing a fabulously luxurious pair of sunglasses that has 24K Yellow gold on them and knowing that you are also giving back to the universe! We love luxury and philanthropy! To find out more information about these sunglasses visit Westward \\ Leaning's website by clicking here.